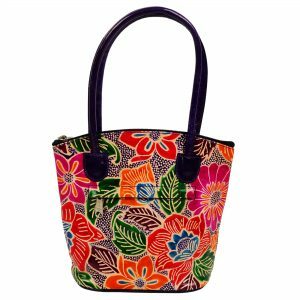 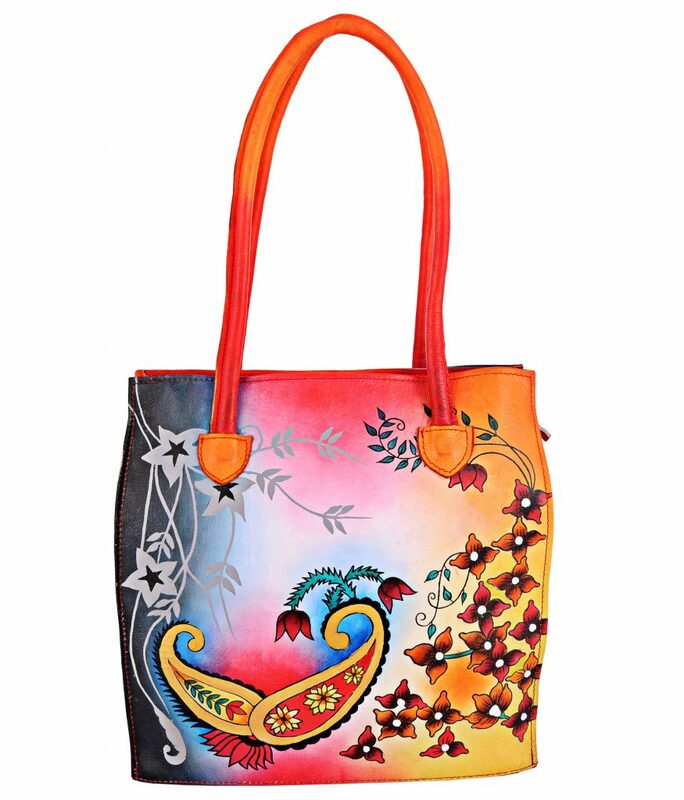 This is a unique handcrafted, hand tooled, painted Large Women’s Tote Bag / Beach Bag / Shoulder Bag / Purse made from 100% genuine leather. 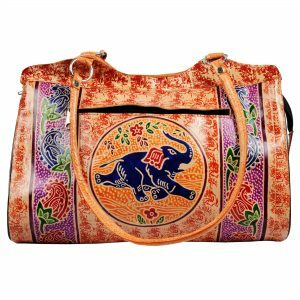 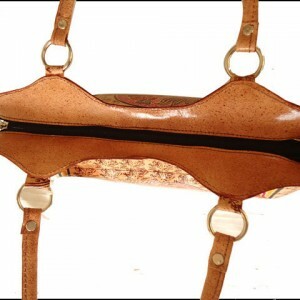 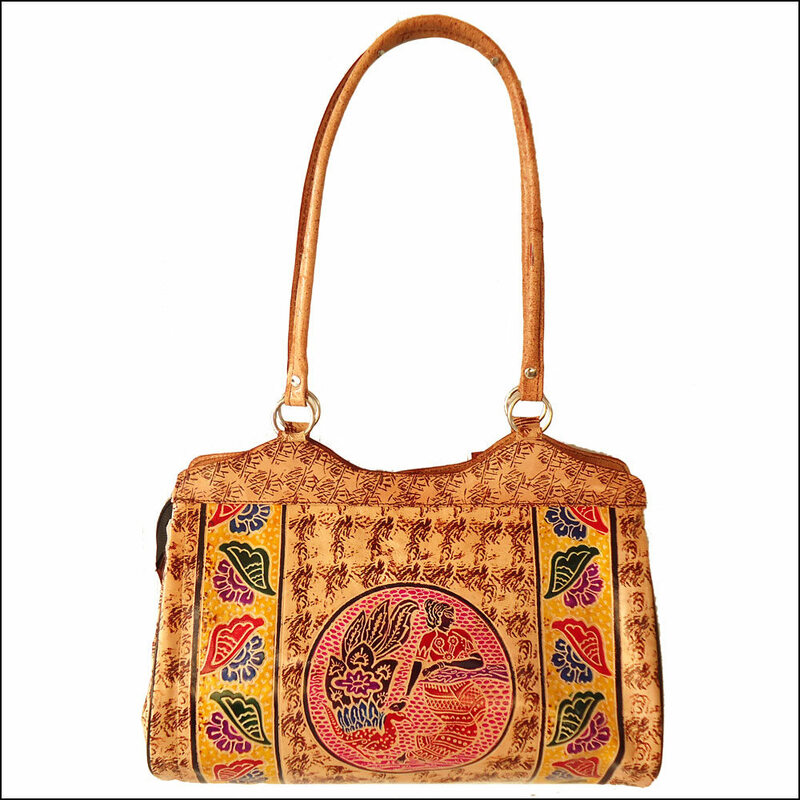 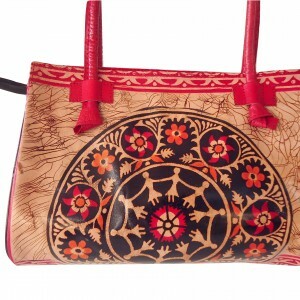 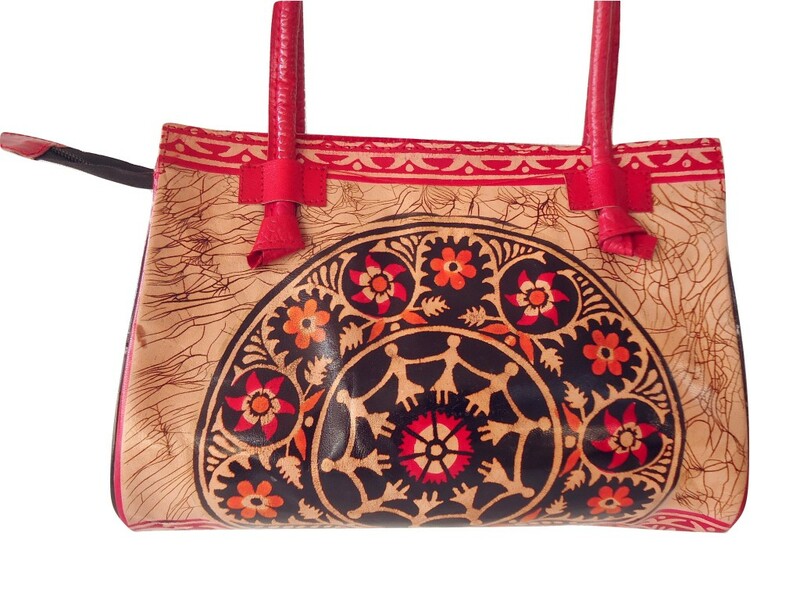 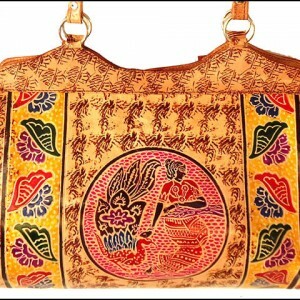 This is a unique handcrafted, hand tooled, painted women's shoulder bag / handbag /purse made from 100% genuine leather. 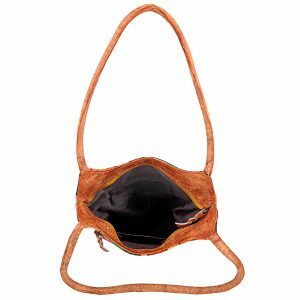 This bag is quite spacious. 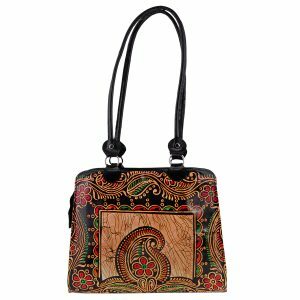 Unique handcrafted, hand tooled women’s bag made from 100% genuine leather. 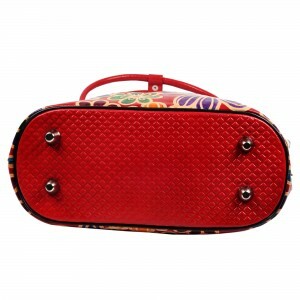 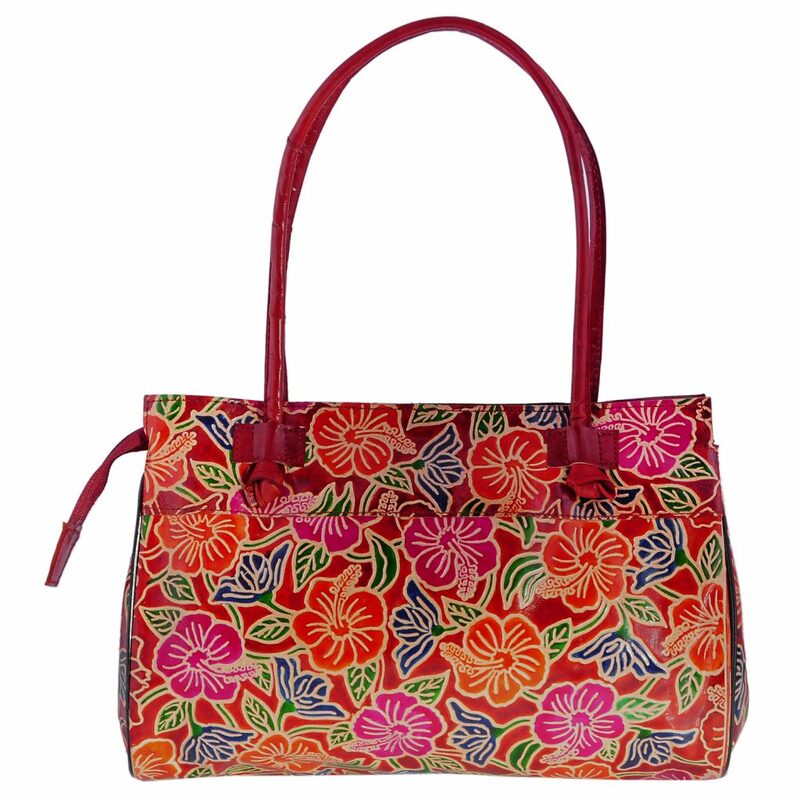 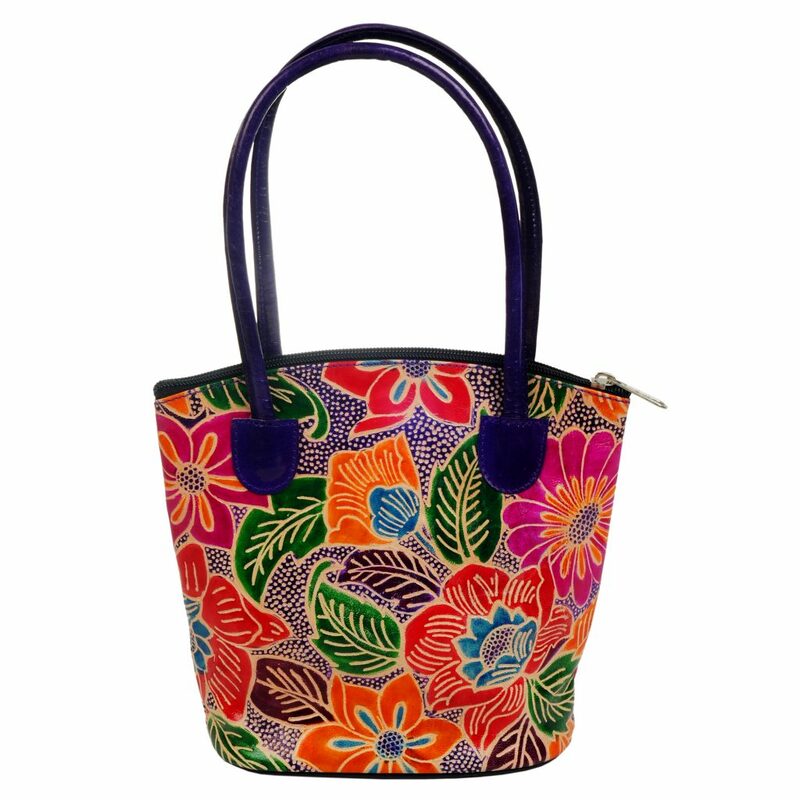 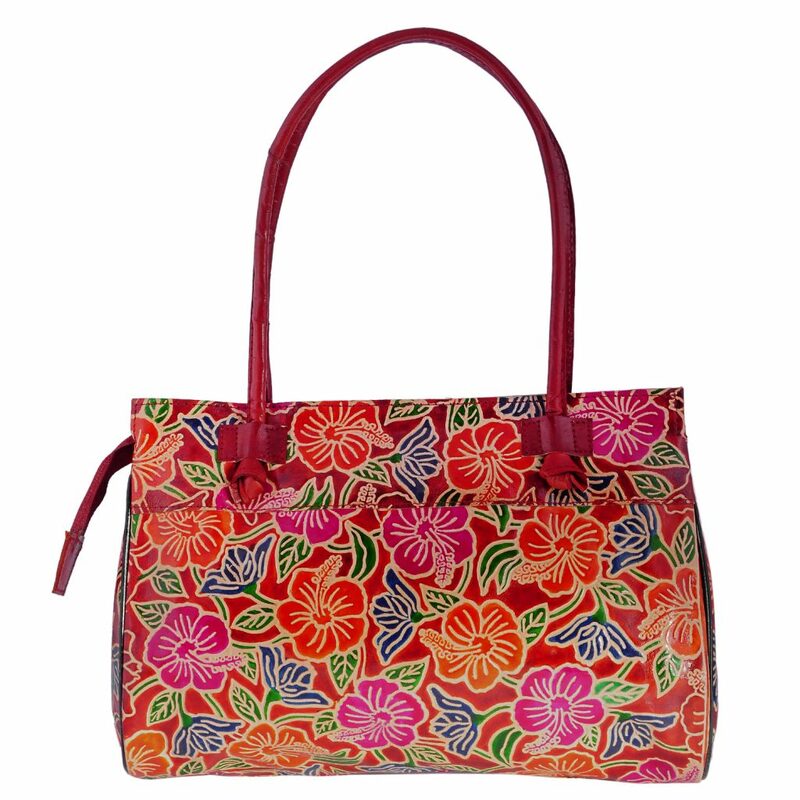 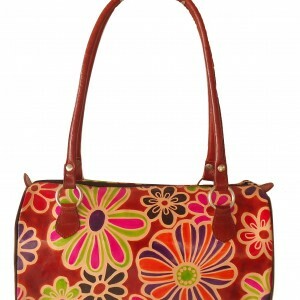 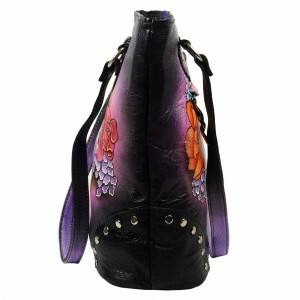 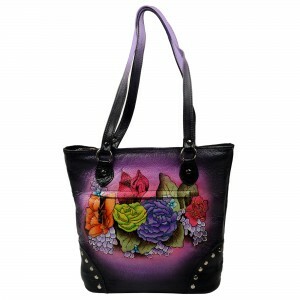 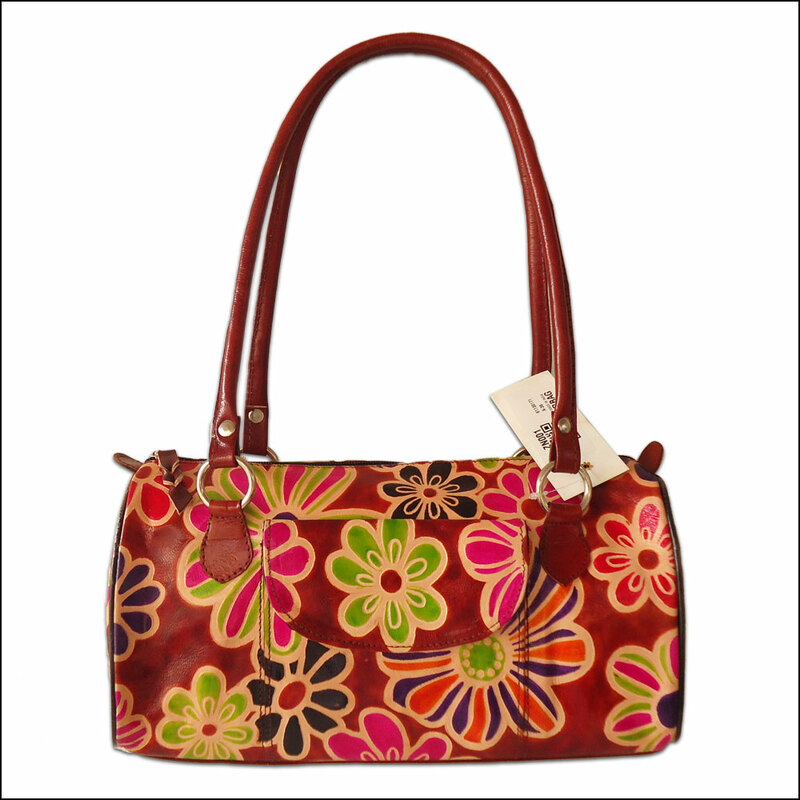 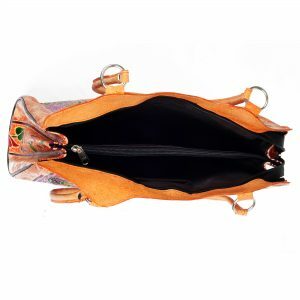 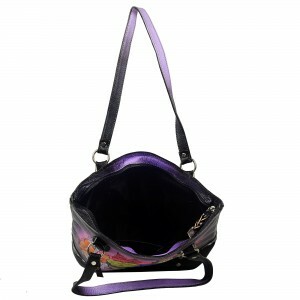 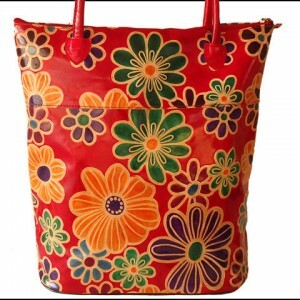 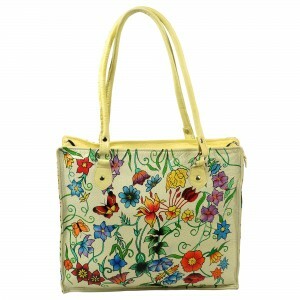 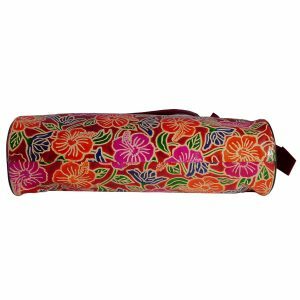 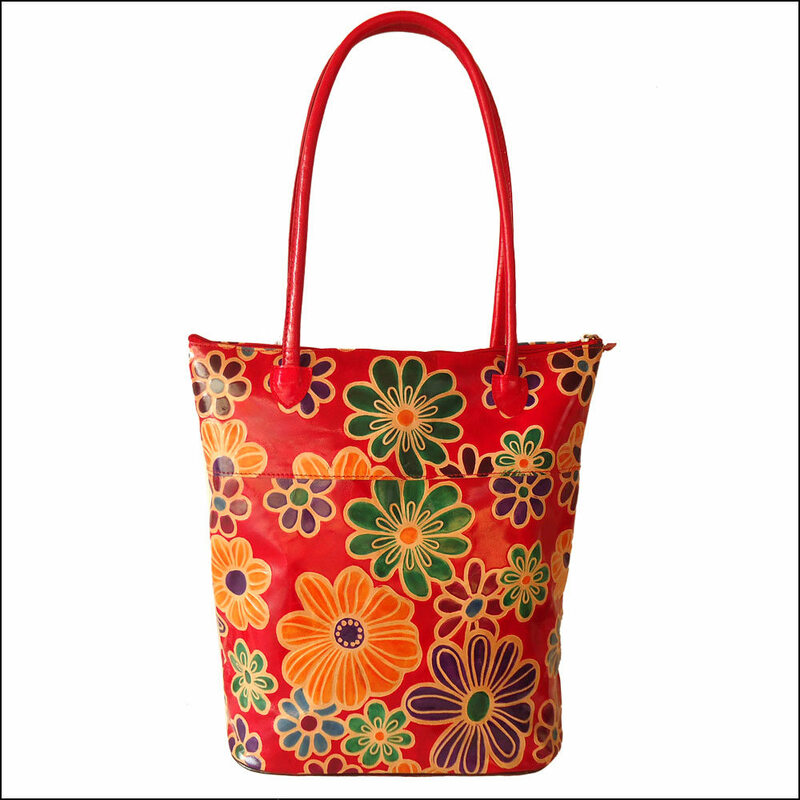 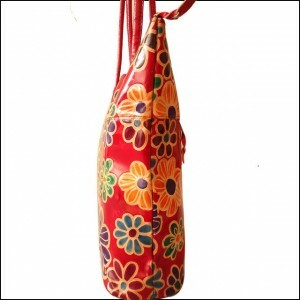 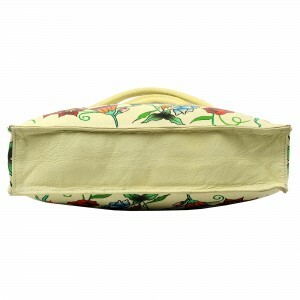 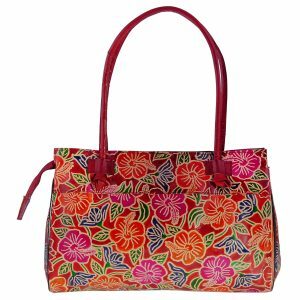 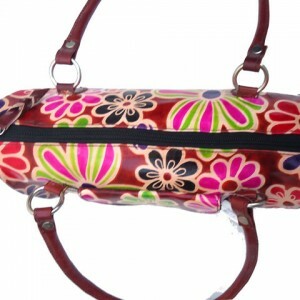 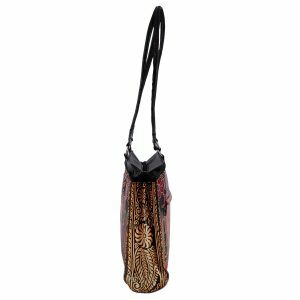 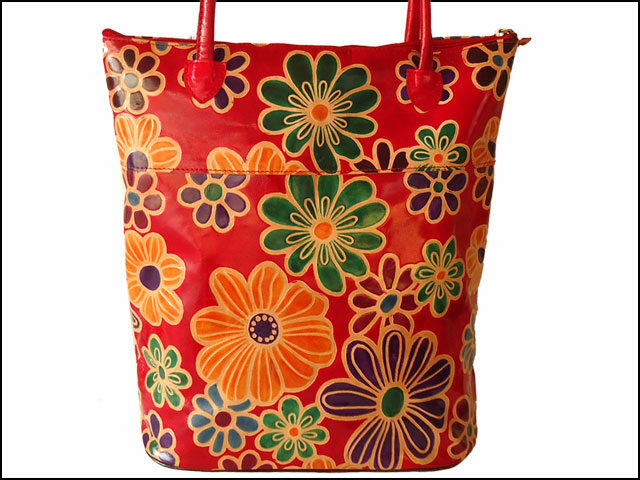 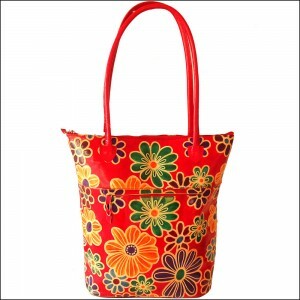 The bag has beautiful multi-colored floral design on both sides. 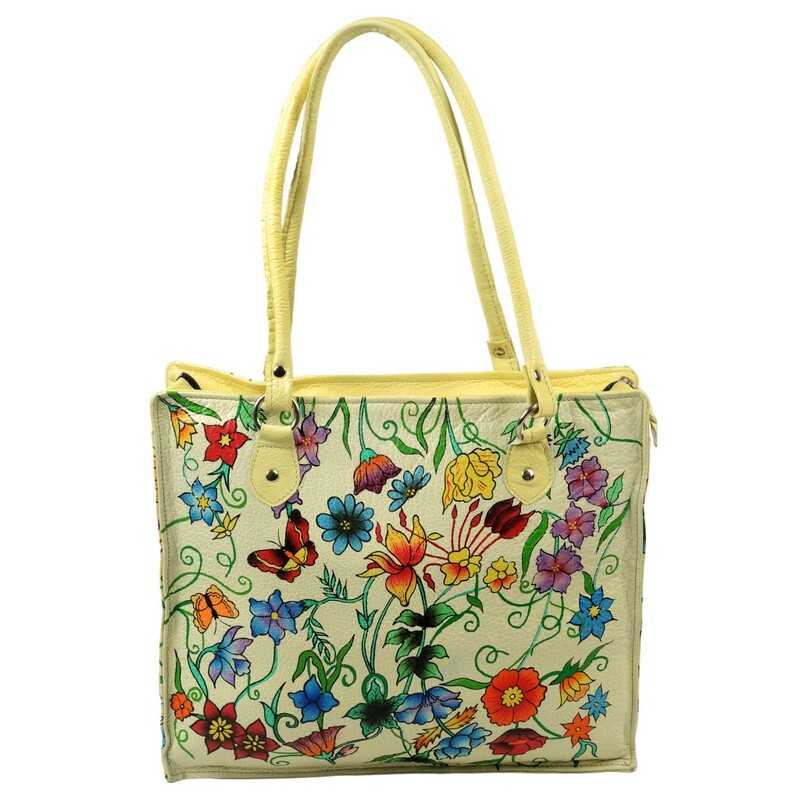 This is a unique handcrafted, hand tooled, painted Small Girls Tote Bag / Shopper / Purse made from 100% genuine leather. 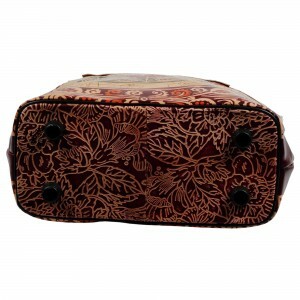 It has a beautiful multi-color floral pattern on both sides. 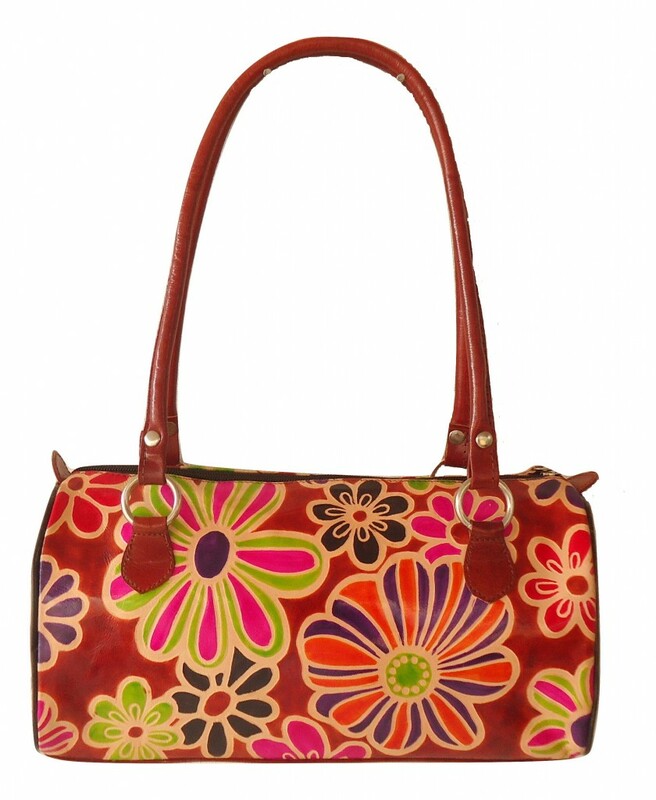 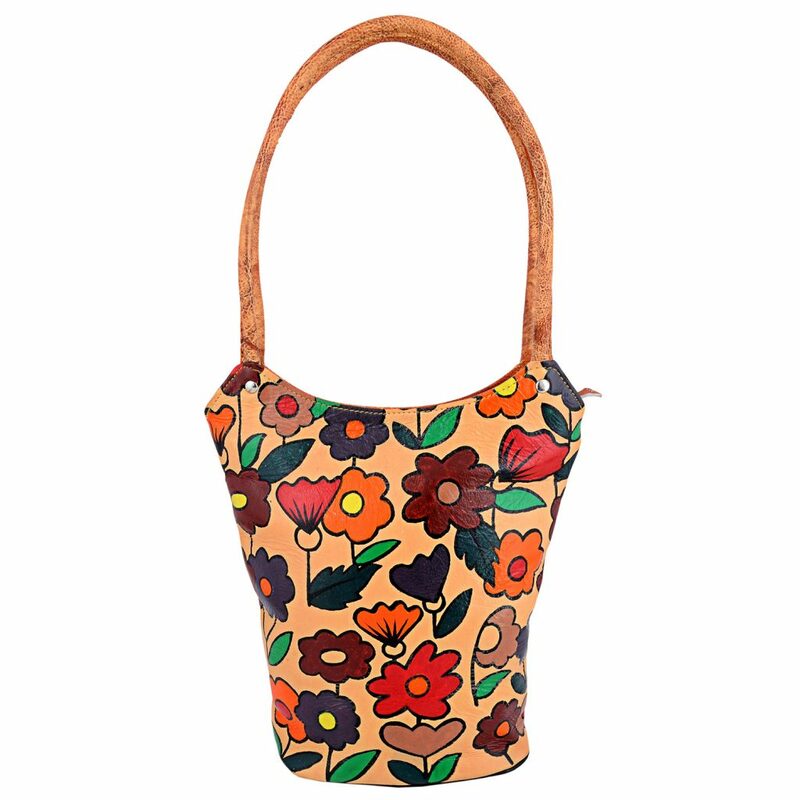 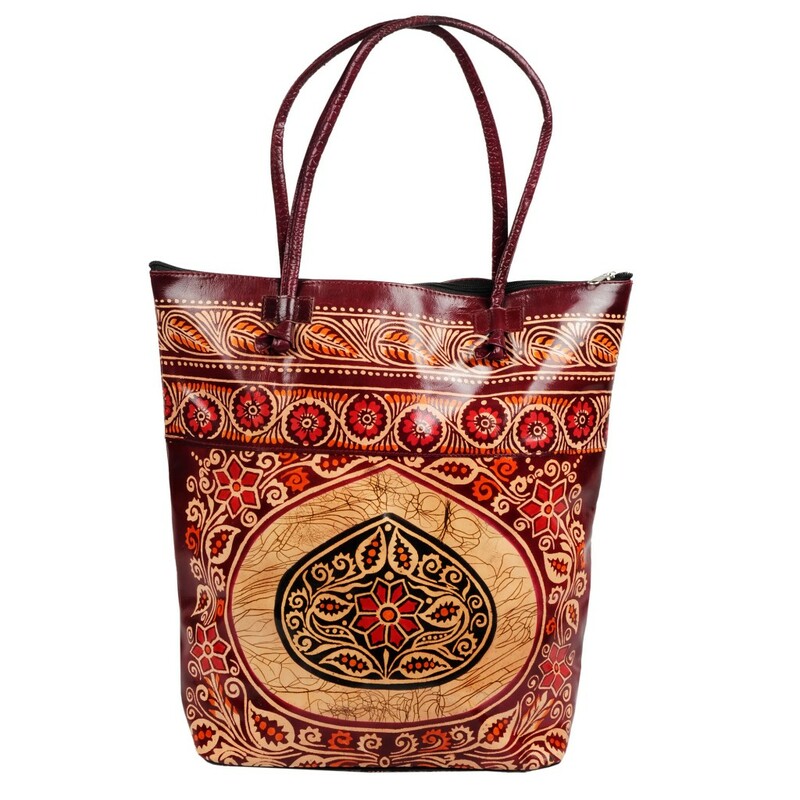 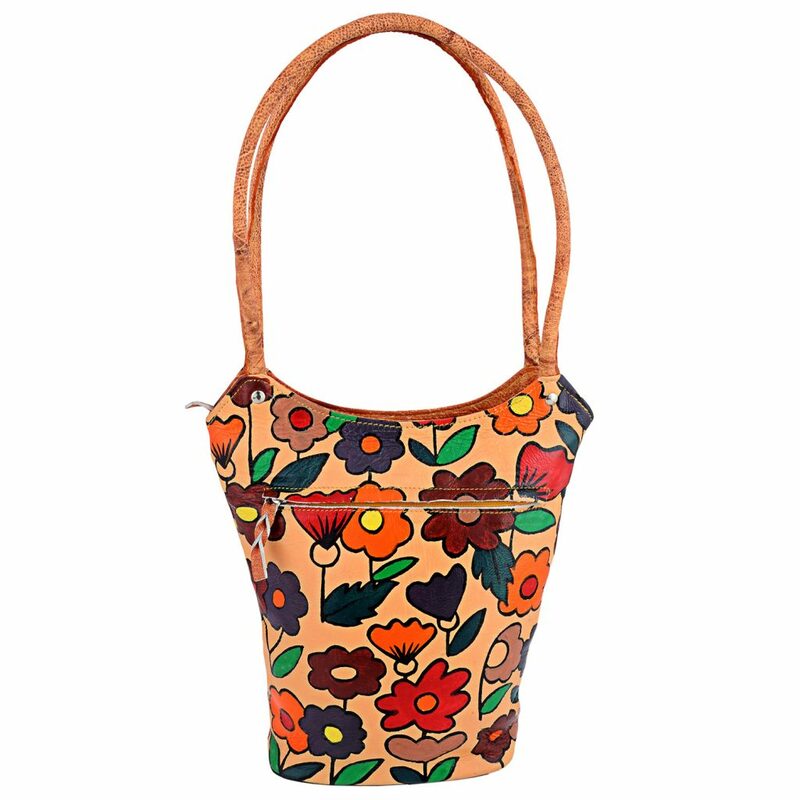 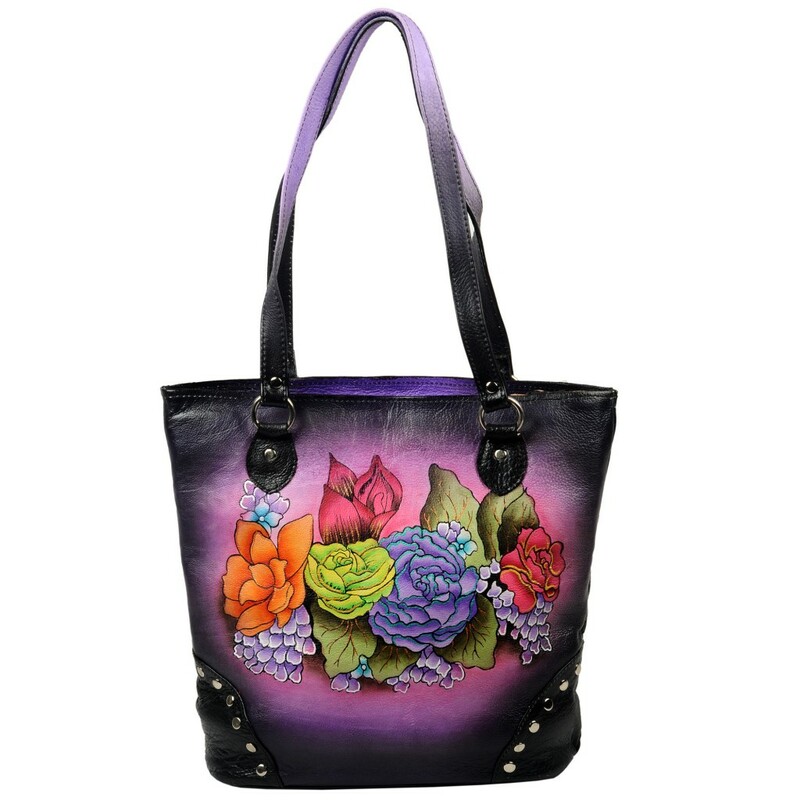 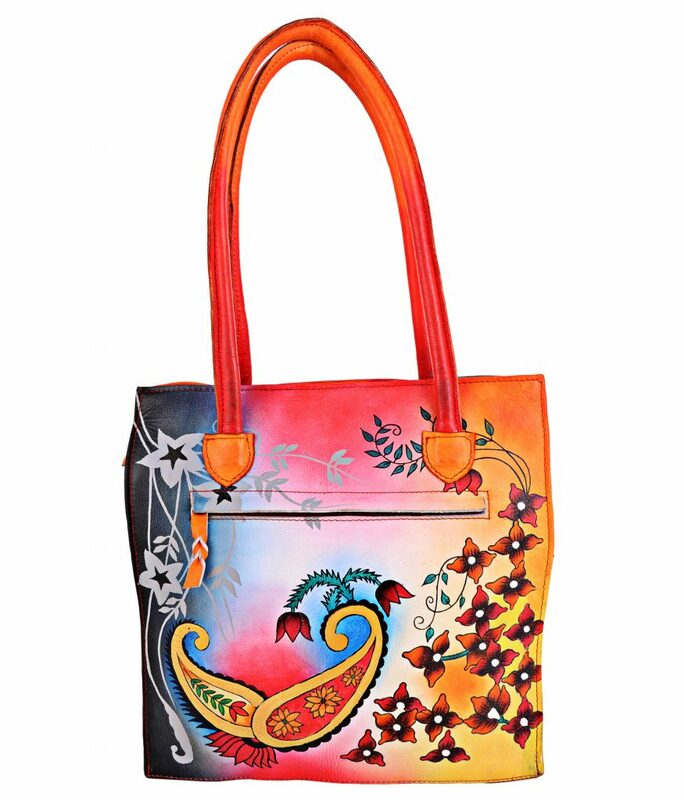 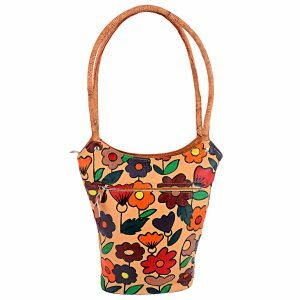 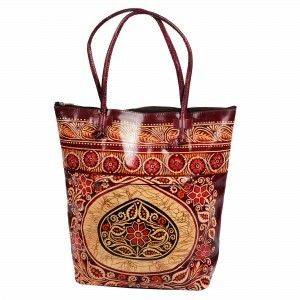 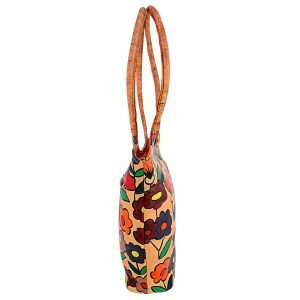 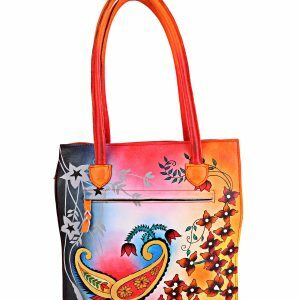 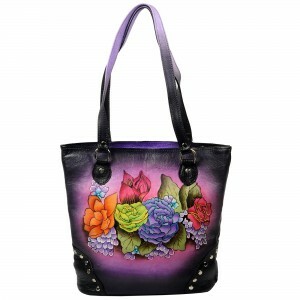 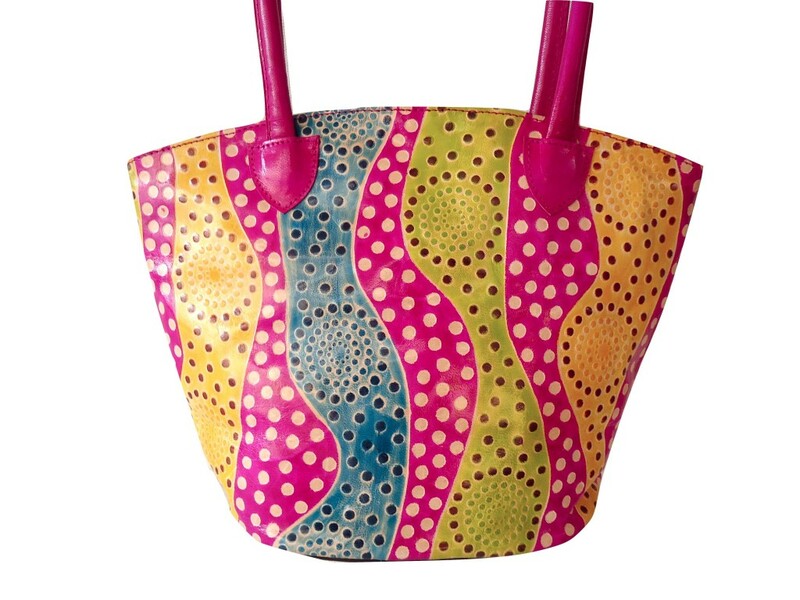 This gorgeous, hand painted Shoulder Tote Bag is made from 100% genuine cowhide leather. 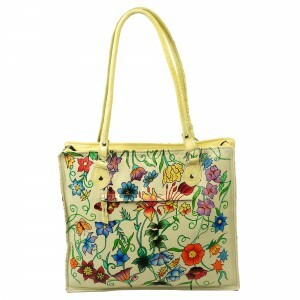 It has a vibrant, multi-colored floral pattern with butterflies. 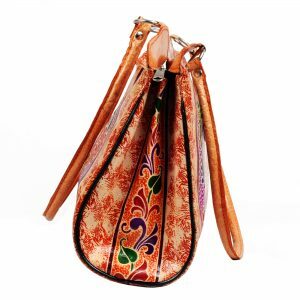 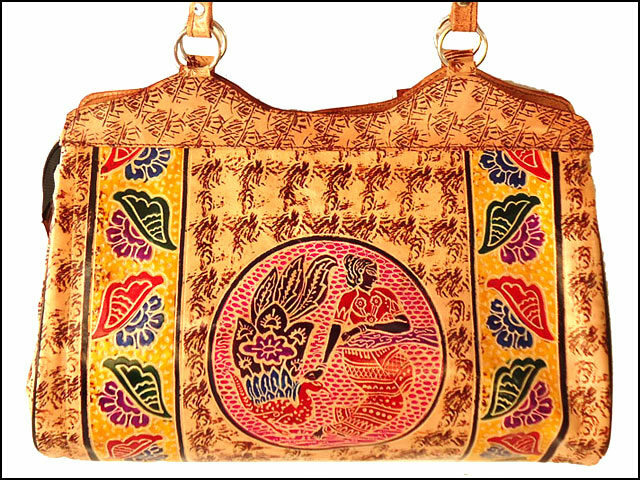 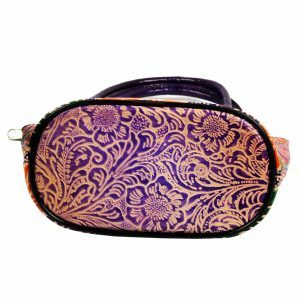 Unique handcrafted, hand tooled, painted women's Indian Shantiniketan shoulder bag / handbag /purse/ tote bag made from 100% genuine leather. 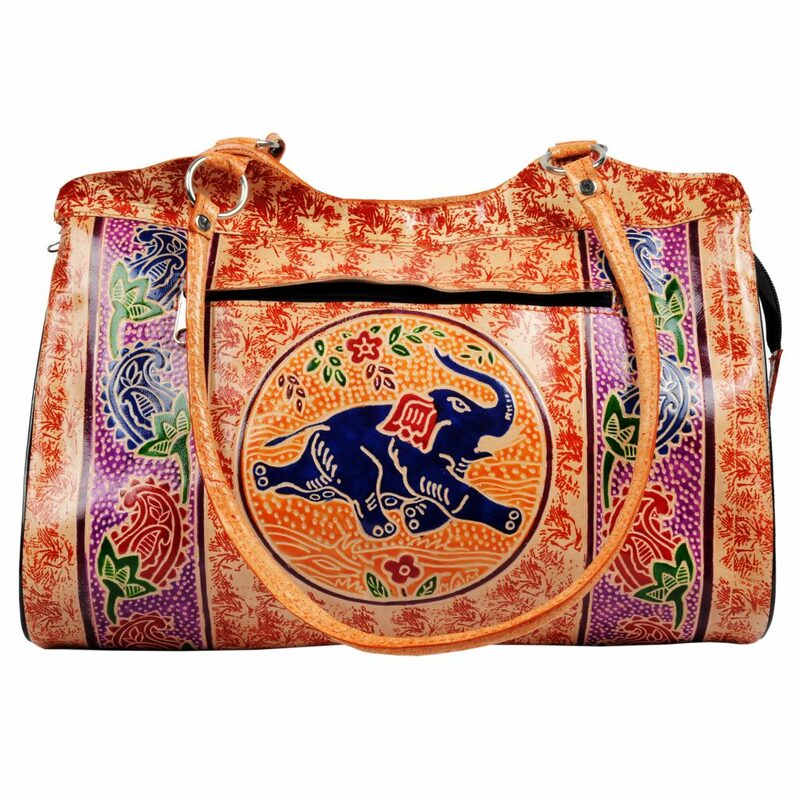 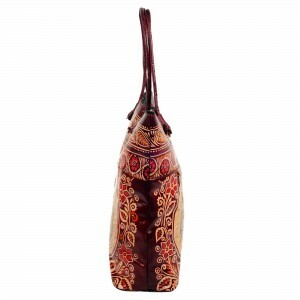 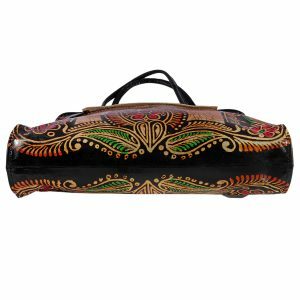 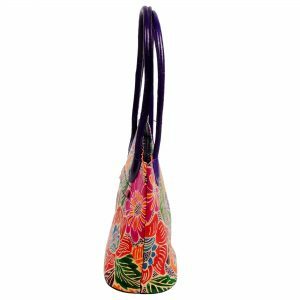 This is a unique handcrafted, hand tooled, painted boho style women's bag made from 100% genuine leather. 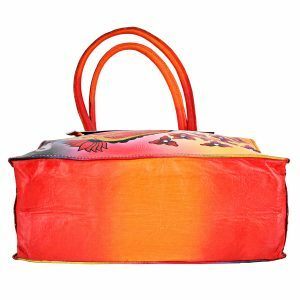 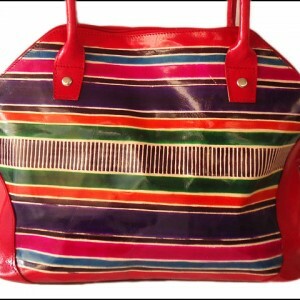 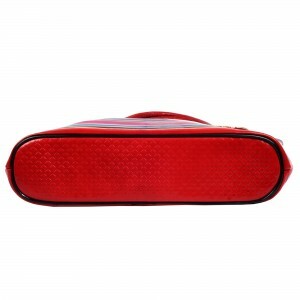 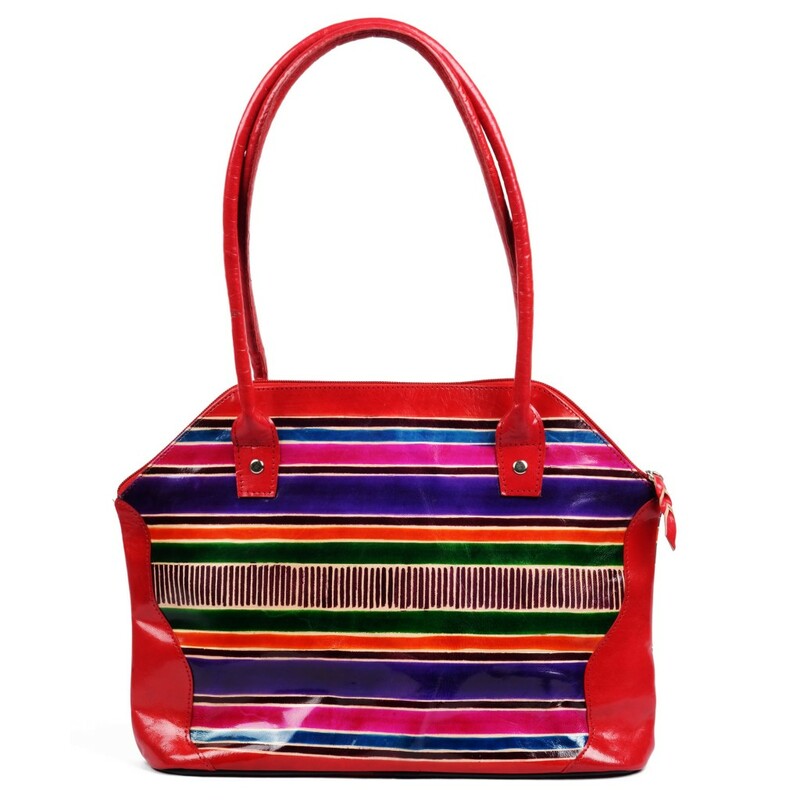 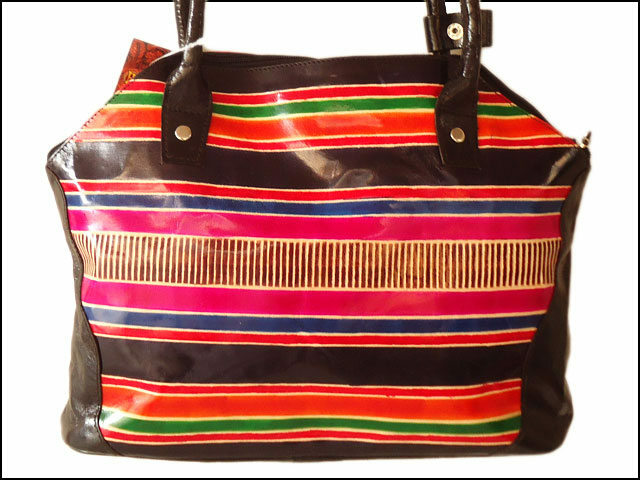 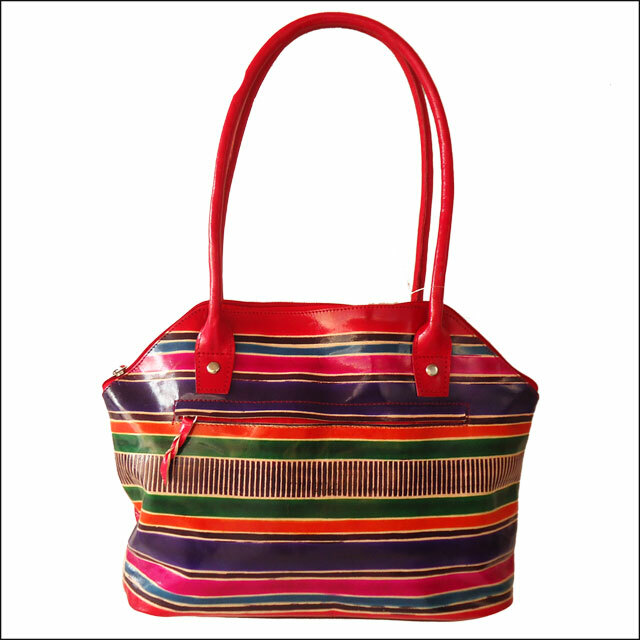 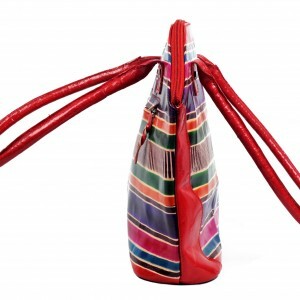 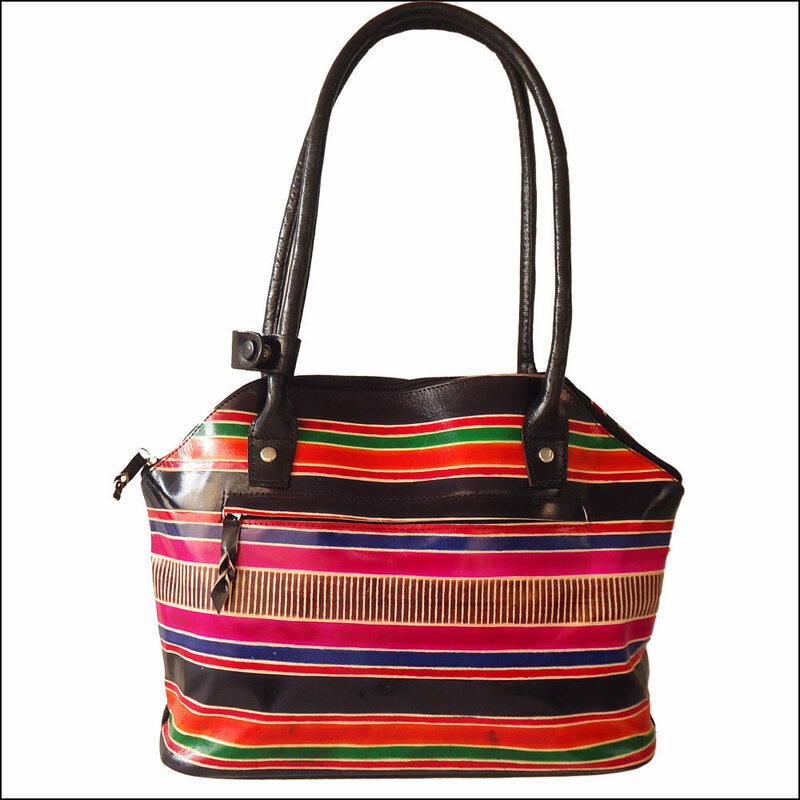 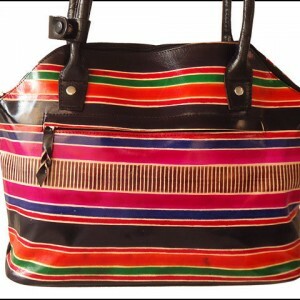 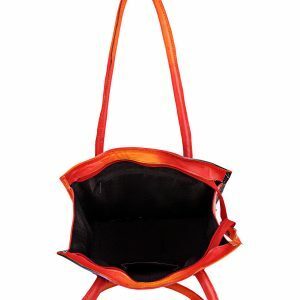 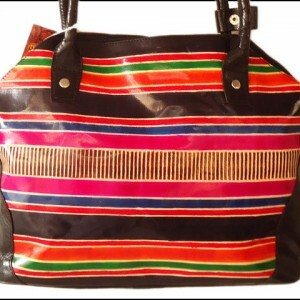 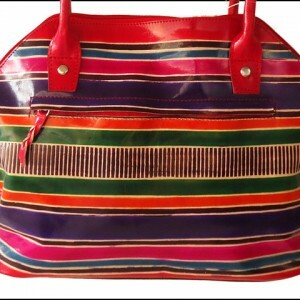 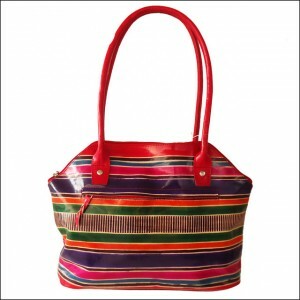 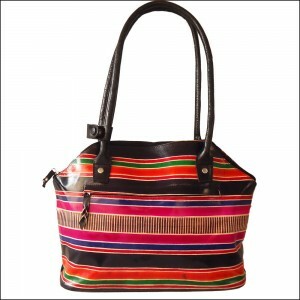 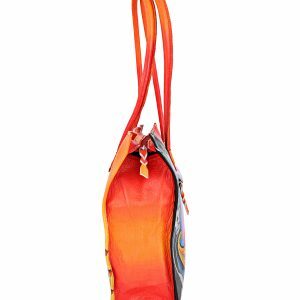 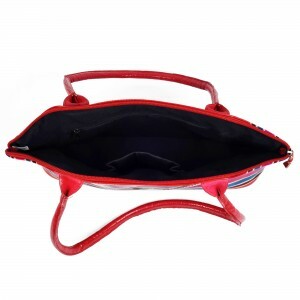 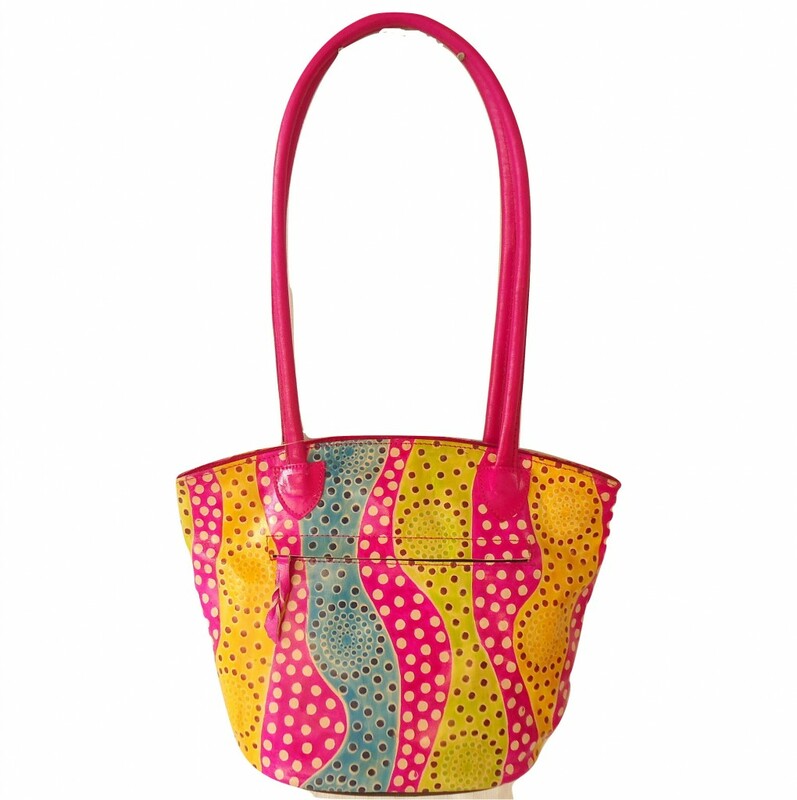 The bag has a bright pink base with vibrant multi-colored stripes on both sides. 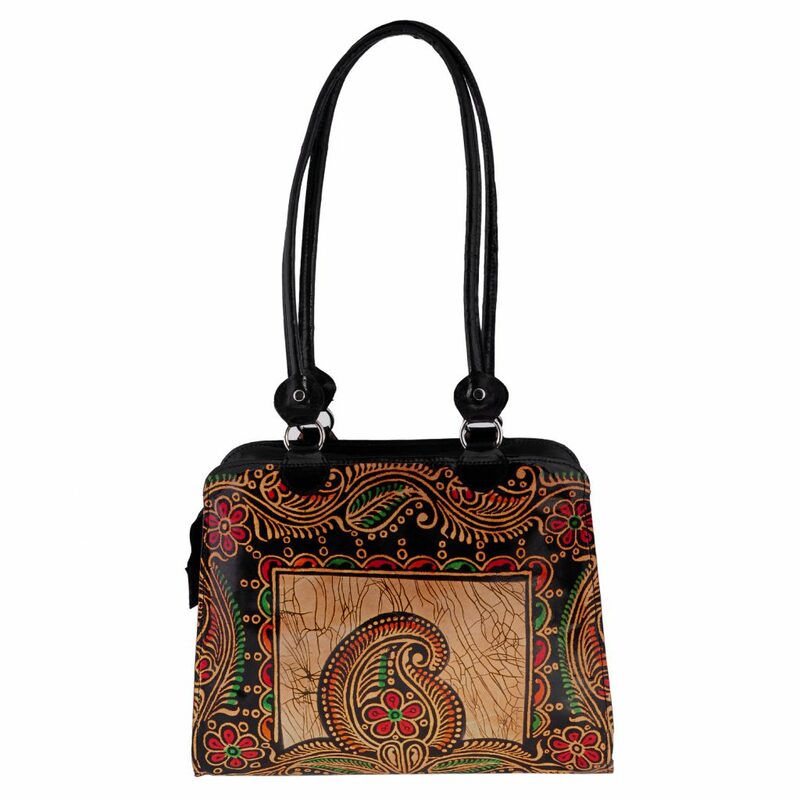 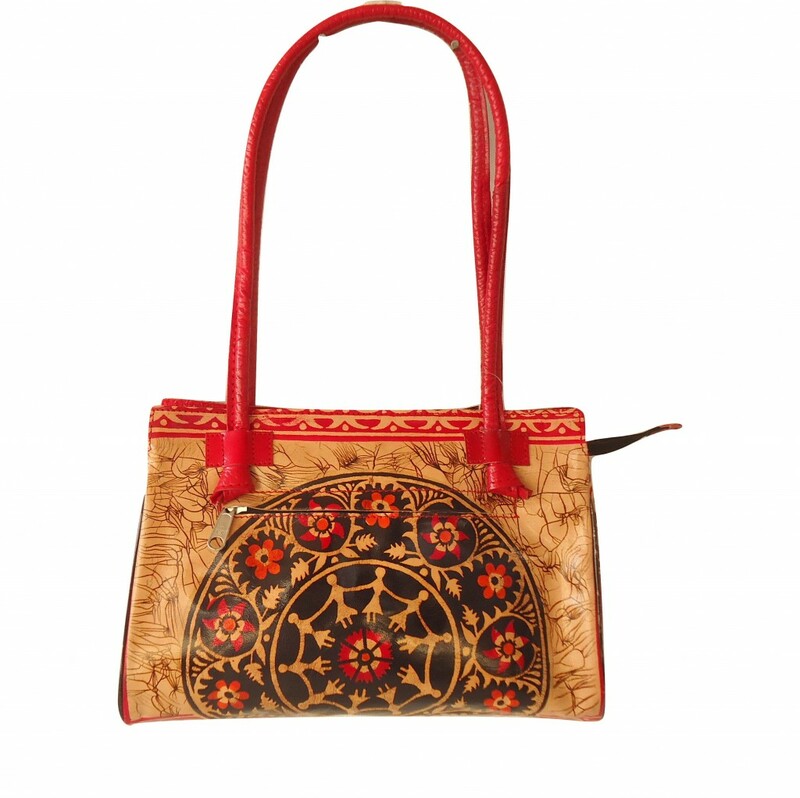 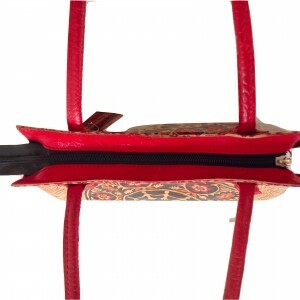 This is a unique handcrafted, hand tooled women’s bag made from 100% genuine leather. 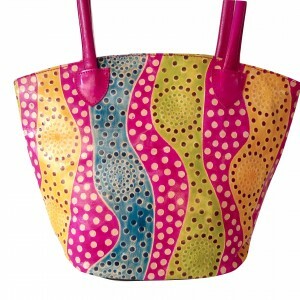 It has a vibrant pink, yellow and blue polka dot design on both sides. 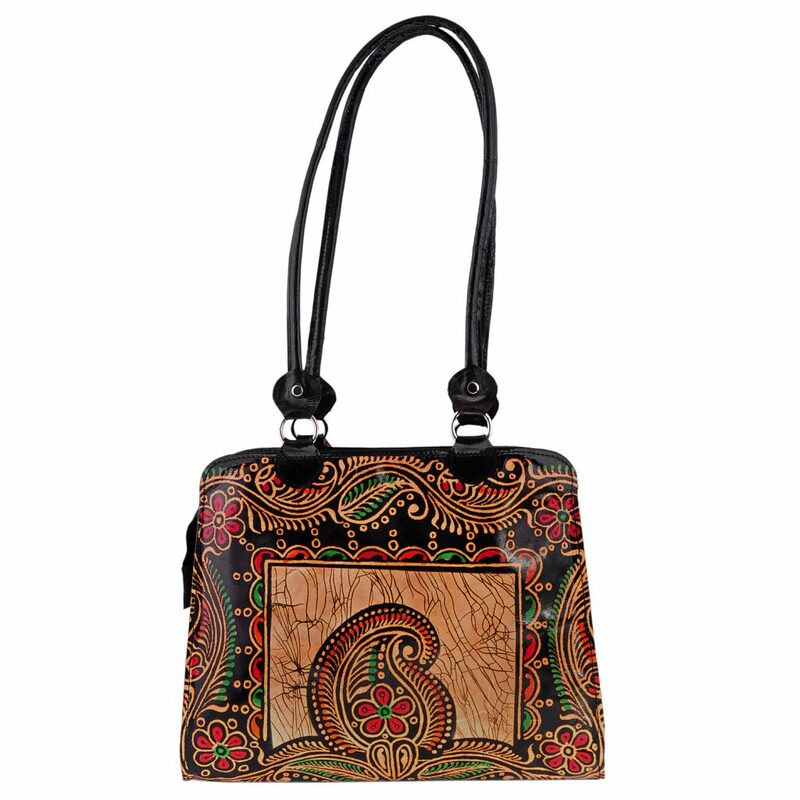 This is a unique handcrafted, hand tooled women’s bag made from 100% genuine leather. 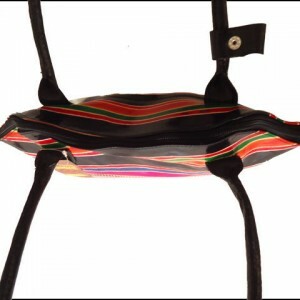 It has vibrant multi-colored stripes on both sides. 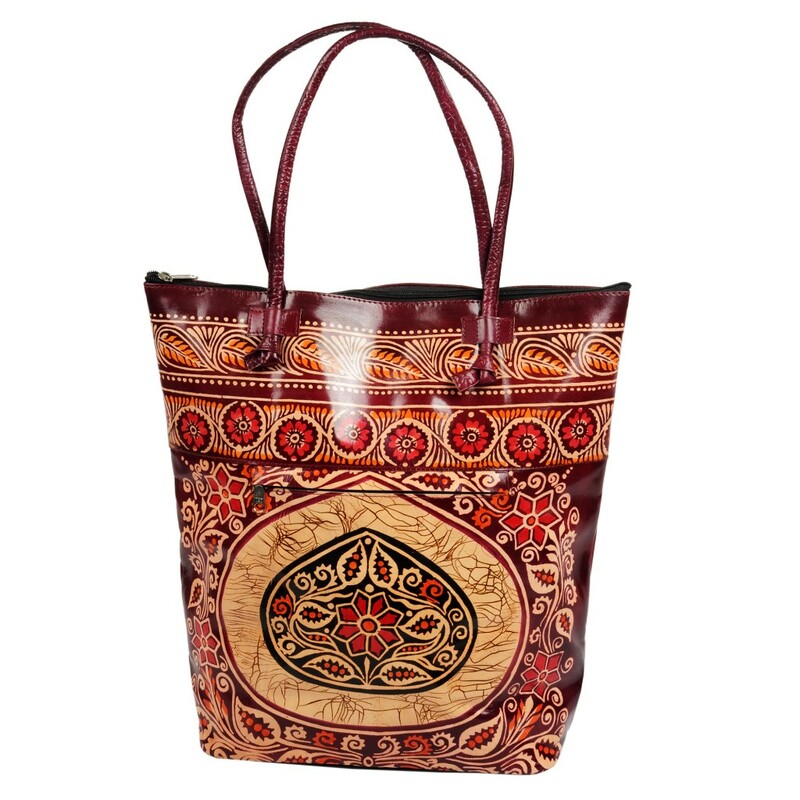 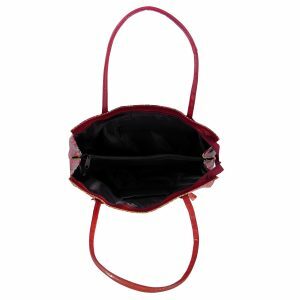 This elegant handmade Women’s Shoulder Bag / Tote Bag is made from 100% genuine full grain goat leather. 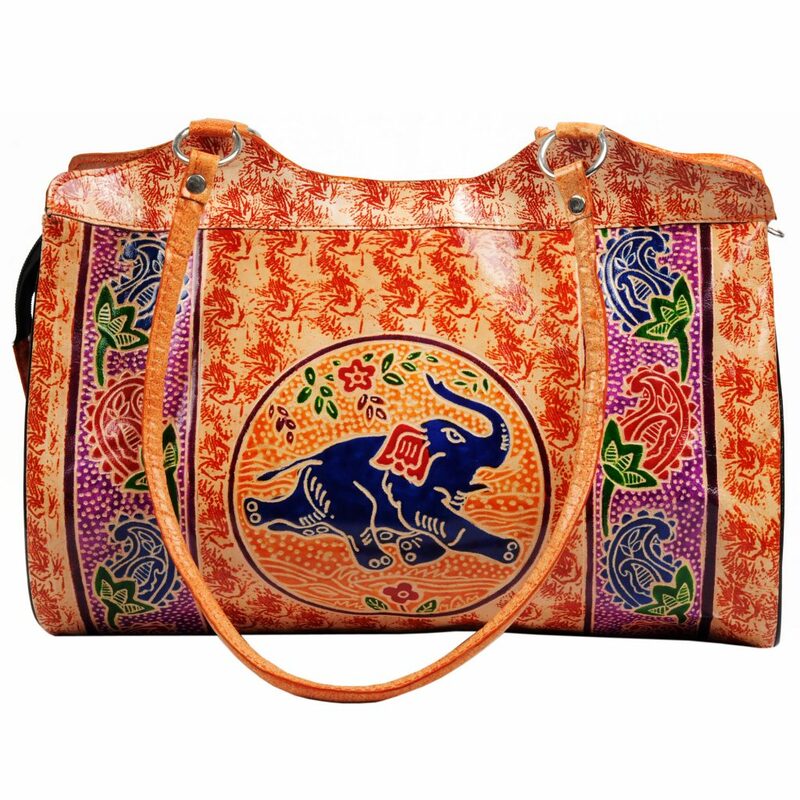 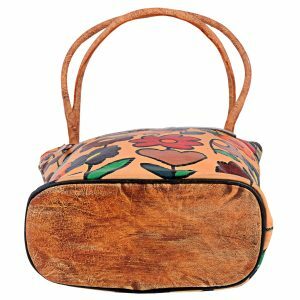 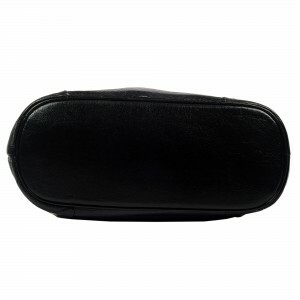 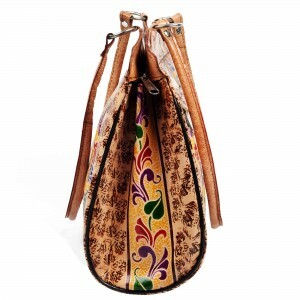 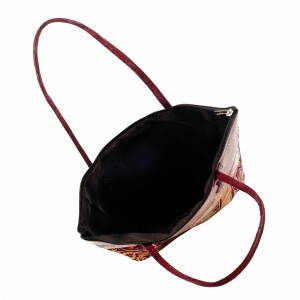 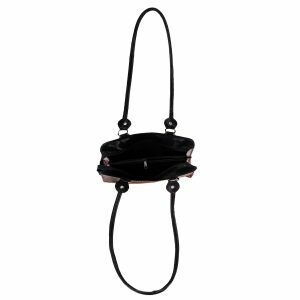 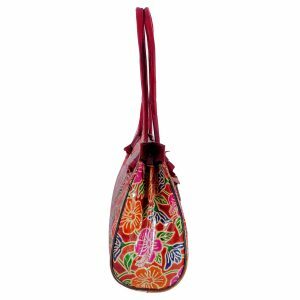 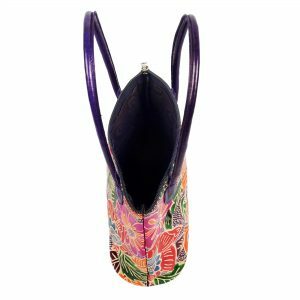 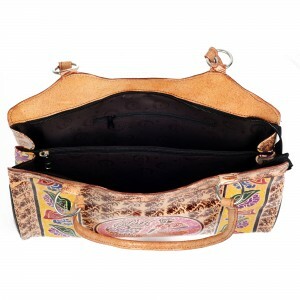 This gorgeous, hand painted Purse is made from 100% genuine cowhide leather. 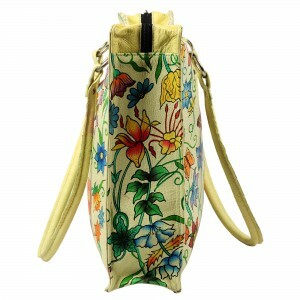 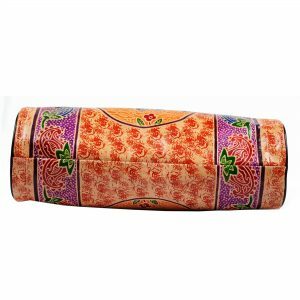 It has a vibrant, multi-colored floral pattern on both sides.